Veterinary practices, animal hospitals and specialty animal clinics have a lot riding on their reputations. Word of mouth spreads rapidly among clients, and both good and bad experiences are likely to be shared. That is why it is so important for veterinary practices to reach out to their clients and foster a positive experience for their two-legged and four-legged customers. One of the most effective ways for veterinary practices and animal clinics to spread the word and grow their businesses is through email marketing. Email marketing can be a boon to just about any business, but it is especially effective for a customer service driven business like a veterinary clinic. Practices that use email marketing techniques to reach out to clients and customers could see their reputations enhanced while helping to improve the care of their animal patients and their human owners. Veterinary practices and animal clinics can use email marketing to encourage current clients to visit. Simply sending out an email reminder regarding recommended vaccinations can spur pet owners to make an appointment to make sure their pets are up to date on their shots. Email notifications of disease outbreaks and other issues can spur pet owners to be more vigilant, encouraging them to bring their pets in at the first sign of trouble. 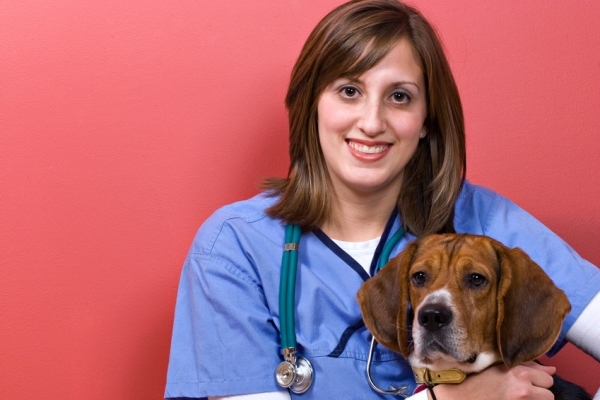 Email marketing is also a great way to introduce the practice to new residents who have pets. One of the first things people do when they move to a new area is look at healthcare options for themselves and their pets. Email marketing is a great way to introduce the practice to new clients and build the business, and to introduce current clients to new features, like emergency pet care, boarding and grooming services. Pet owners spend a lot of time looking for the perfect vet, and they want to feel a bond between themselves, their pets and the caregivers who provide veterinary services. Email marketing is a great way for practices to build on the bond that already exists between their clients, their pets and their veterinarians and veterinary technicians. Something as simple as a monthly newsletter with tidbits about the staff can help create a bond with current clients while encouraging new pet owners to come in for a visit. Email marketing carries a great many benefits for both individual veterinarians and large-scale animal clinics. From fostering a deeper bond between pet owners and the veterinary staff to providing an initial point of contact for newly arrived pet owners, the effectiveness of email marketing has been proven again and again. Best of all, those benefits come at a very reasonable cost. Email marketing is one of the least expensive ways for veterinary practices to communicate with their clients and build their businesses. Whether it is creating a monthly or weekly newsletter or sending out alerts to area pet owners, email marketing is one of the most cost-effective ways for veterinary practices to build their businesses and serve their human and animal clients. If you are a vet and you are looking for a good email marketing software to get started, try SendBlaster. You will be able to import your lists, create your emails (like email reminders and newsletters) and send them directly from your PC, hassle-free! And if your email list is comprised of less than 100 contacts, you can even manage all your email campaigns using the Free version of SendBlaster!